You asked for it so you got it! HostForLIFE.eu is proud to offer PHP 7 Hosting. HostForLIFE.eu customers have an option to choose type of PHP version when configuring website from inside the HostForLIFE.eu plesk panel. What is European PHP 7 Hosting? Introducing PHP 7 - a revolution in the way we deliver applications that power everything from websites and mobile to enterprises and the cloud. This is the most important change for PHP since the release of PHP 5 in 2004, bringing explosive performance improvements, drastically reduced memory consumption, and a host of brand-new language features to make your apps soar. Thanks to the new Zend Engine 3.0, your apps see up to 2x faster performance and 50% better memory consumption than PHP 5.6, allowing you to serve more concurrent users without adding any hardware. 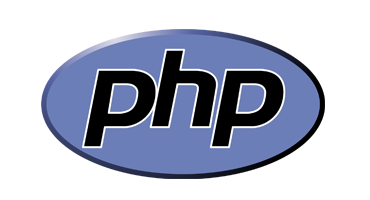 Designed and refactored for today’s workloads, PHP 7 is the ultimate choice for web developers today. Why Choose HostForLIFE.eu for PHP 7 Hosting? Try our Free PHP 7 Hosting today and your account will be setup soon! You can also take advantage of our Windows & ASP.NET Hosting support with Unlimited Domain, Unlimited Bandwidth, Unlimited Disk Space, etc. You will not be charged a cent for trying our service for the next 3 days. Once your trial period is complete, you decide whether you'd like to continue.